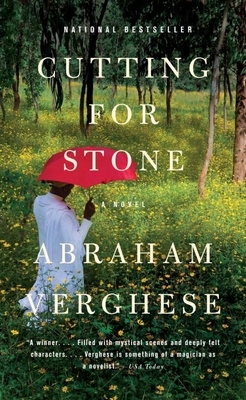 Abraham Verghese has said that his ambition in writing Cutting for Stone was to "tell a great story, an old-fashioned, truth-telling story." In what ways is Cutting for Stone an old-fashioned story-and what does it share with the great novels of the nineteenth century? What essential human truths does it convey? What does Cutting for Stone reveal about the emotional lives of doctors? Contrast the attitudes of Hema, Ghosh, Marion, Shiva, and Thomas Stone toward their work. What draws each of them to the practice of medicine? How are they affected, emotionally and otherwise, by the work they do? Marion observes that in Ethiopia, patients assume that all illnesses are fatal and that death is expected, but in America, news of having a fatal illness "always seemed to come as a surprise, as if we took it for granted that we were immortal" (p. 396). What other important differences does Cutting for Stone reveal about the way illness is viewed and treated in Ethiopia and in the United States? To what extent are these differences reflected in the split between poor hospitals, like the one in the Bronx where Marion works, and rich hospitals like the one in Boston where his father works? In the novel, Thomas Stone asks, "What treatment in an emergency is administered by ear?" The correct answer is "Words of comfort." How does this moment encapsulate the book's surprising take on medicine? Have your experiences with doctors and hospitals held this to be true? Why or why not? What does Cutting for Stone tell us about the roles of compassion, faith, and hope in medicine? There are a number of dramatic scenes on operating tables in Cutting for Stone: the twins' births, Thomas Stone amputating his own finger, Ghosh untwisting Colonel Mebratu's volvulus, the liver transplant, etc. How does Verghese use medical detail to create tension and surprise? What do his depictions of dramatic surgeries share with film and television hospital dramas-and yet how are they different? Marion suffers a series of painful betrayals-by his father, by Shiva, and by Genet. To what degree is he able, by the end of the novel, to forgive them? To what extent does the story of Thomas Stone's childhood soften Marion's judgment of him? How does Thomas's suffering as a child, the illness of his parents, and his own illness help to explain why he abandons Shiva and Marion at their birth? How should Thomas finally be judged? In what important ways does Marion come to resemble his father, although he grows up without him? How does Marion grow and change over the course of the novel? A passionate, unique love affair sets Cutting for Stone in motion, and yet this romance remains a mystery-even to the key players-until the very conclusion of the novel. How does the relationship between Sister Mary Joseph Praise and Thomas Stone affect the lives of Shiva and Marion, Hema and Ghosh, Matron and everyone else at Missing? What do you think Verghese is trying to say about the nature of love and loss? What do Hema, Matron, Rosina, Sister Mary Joseph Praise, Genet, and Tsige-as well as the many women who come to Missing seeking medical treatment-reveal about what life is like for women in Ethiopia? Addis Ababa is at once a cosmopolitan city thrumming with life and the center of a dictatorship rife with conflict. How do the influences of Ethiopia's various rulers-England, Italy, Emperor Selassie-reveal themselves in day-to-day life? How does growing up there affect Marion's and Shiva's worldviews? As Ghosh nears death, Marion comments that the man who raised him had no worries or regrets, that "there was no restitution he needed to make, no moment he failed to seize" (p. 346). What is the key to Ghosh's contentment? What makes him such a good father, doctor, and teacher? What wisdom does he impart to Marion? Although it's also a play on the surname of the characters, the title Cutting for Stone comes from a line in the Hippocratic Oath: "I will not cut for stone, even for patients in whom the disease is manifest; I will leave this operation to be performed by practitioners, specialists in this art." Verghese has said that this line comes from ancient times, when bladder stones were epidemic and painful: "There were itinerant stone cutters-lithologists-who could cut into either the bladder or the perineum and get the stone out, but because they cleaned the knife by wiping their blood-stiffened surgical aprons, patients usually died of infection the next day." How does this line resonate for the doctors in the novel? Almost all of the characters in Cutting for Stone are living in some sort of exile, self-imposed or forced, from their home country-Hema and Ghosh from India, Marion from Ethiopia, Thomas from India and then Ethiopia. Verghese is of Indian descent but was born and raised in Ethiopia, went to medical school in India, and has lived and worked in the United States for many years. What do you think this novel says about exile and the immigrant experience? How does exile change these characters, and what do they find themselves missing the most about home?